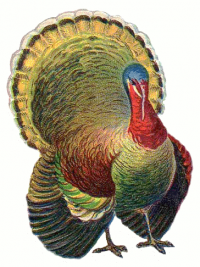 Novus Free Talk-Thanksgiving « Vancouver Spotlight – Your Station! Your Stories! Thanksgiving is all part of reliving our favourite warm memories we have from past celebrations. Some have cabins that the family goes out to, “we’d go for hikes, there’d be a big Thanksgiving dinner, all the family would join, from all different parts…we’d all drive up there for the Thanksgiving feast. It was great!” says one lady. For one young man, it meant losing his vino. “One time we had so much snow, we put the wine bottles out in the snow banks, and lost them until it was Spring,” he says grinning. For others, what makes these Thanksgiving memories so pleasant is the family, not the food, “It’s all about everybody getting together, hanging out, spending time together, it’s really more about the family, not the food, really…” he says, uncertain at our host’s shocked expression. Aww shucks. Here’s hoping you had an equally wonderful Thanksgiving as those in this footage were geared up for. This entry was written by vanspotlight and posted on November 29, 2008 at 12:50 am and filed under Discussion, Family Activities with tags canadian holiday, celebratino, dinner, family, food, friends, novus free talk-thanksgiving, thanksgiving, travel, turkey, wine. Bookmark the permalink. Follow any comments here with the RSS feed for this post. Post a comment or leave a trackback: Trackback URL.